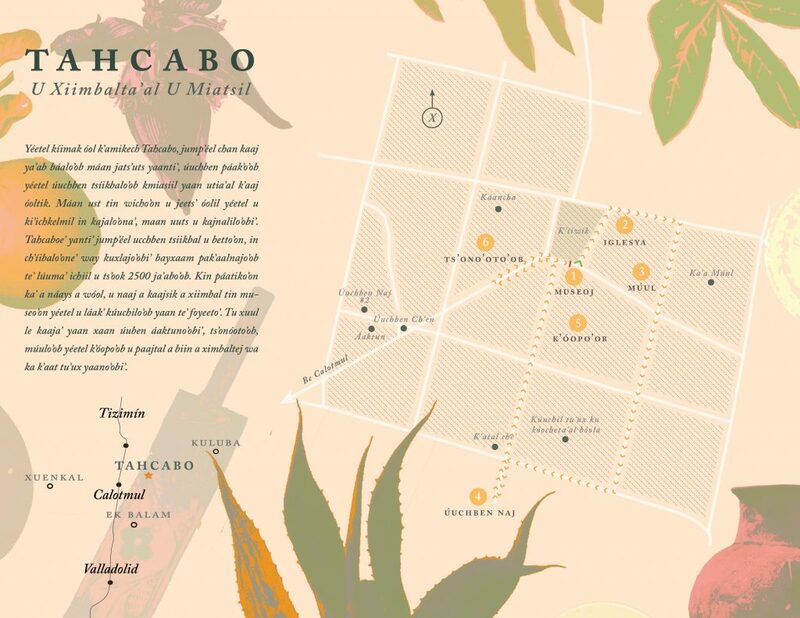 I wanted to share with you a bit more about the PACOY project and our process designing the Tahcabo Heritage Trail. First of all, we found an amazing volunteer (MK Smaby) with professional design experience to help us with the project. Our number one priority was to design the signs and brochures for the heritage trail in close consultation with community members. For this reason, while a non-community member took the lead in project art and layout, we asked for community participation in several ways. We held a series of meetings with the Tahcabo Heritage Committee throughout the process to plan for, design, and implement the heritage trail. Early on in the process we conducted a series of interviews with community members that included general and specific discussion of tourism and the heritage trail design. We also convened a community-wide meeting to present the results of interviews and the trail plans. Finally, we had many visitors test out the heritage trail prior to implementation. 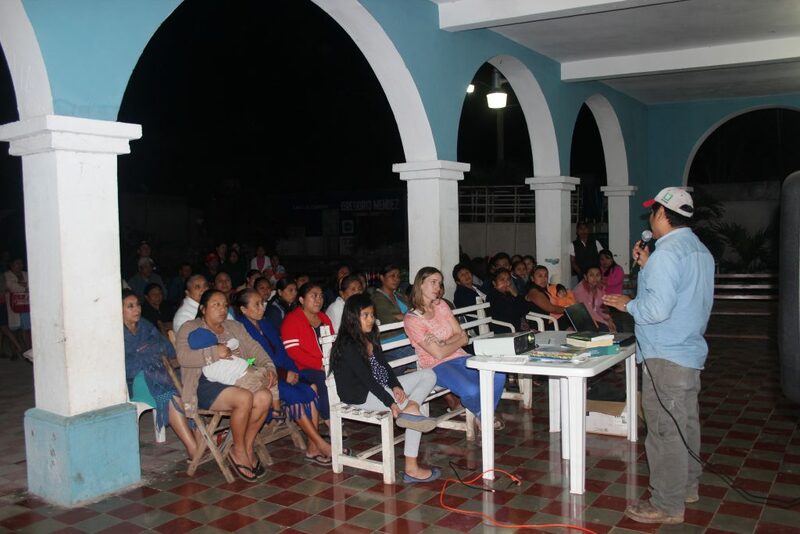 We got feedback from the community about the overall idea of the heritage trail, tourism in Tahcabo, and design features through a series of interviews conducted with 20 town residents. From these interviews we found there to be widespread enthusiasm for the project. Because we learned that there was interest in attracting more foreign tourists to the town, we opted to include an English version of the heritage trail text. In addition, we learned what elements of community life and heritage town residents find most important. 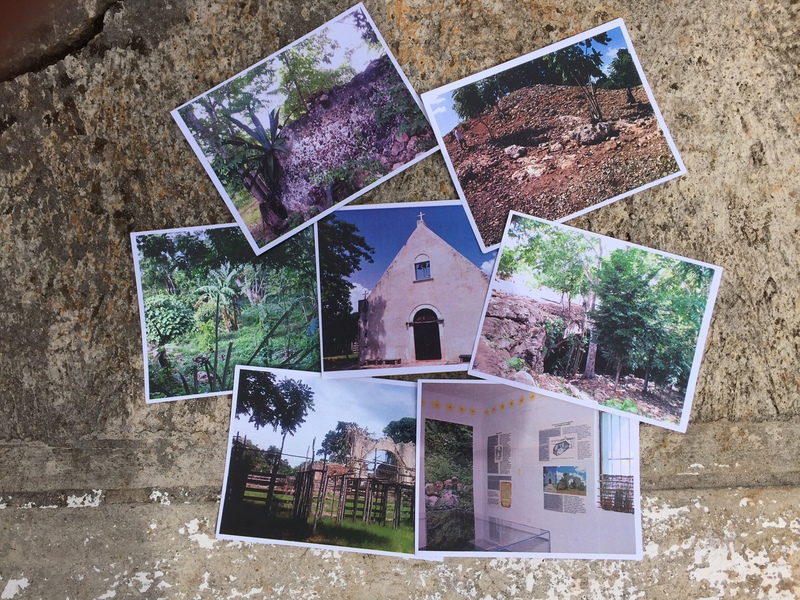 As part of one activity in interviews, we asked people to choose among photographs of Tahcabo to select what they think are the most important locations for the heritage trail. We even collected information about favorite colors to incorporate into the design. Throughout the process we got a good sense of how community members see their town and wish it to be represented to others. Residents indicated that they would like Tahcabo to be known for its natural beauty and historical sites. 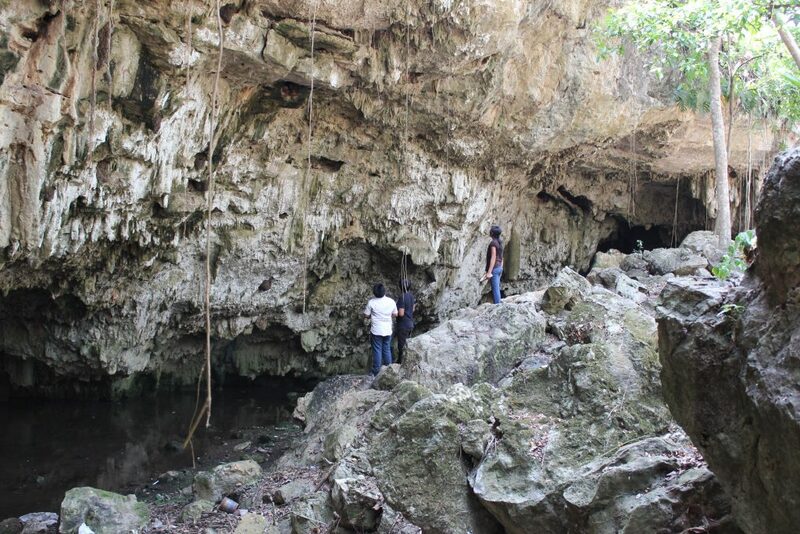 They want to maintain knowledge of the community’s past and its importance and use the heritage trail in part as a teaching tool for their children. In addition, they were pleased that visitors would be entertained by the heritage walk and see that the small town of Tahcabo has lots of things to see and discover. People love Tahcabo because it is beautiful, tranquil, and safe. 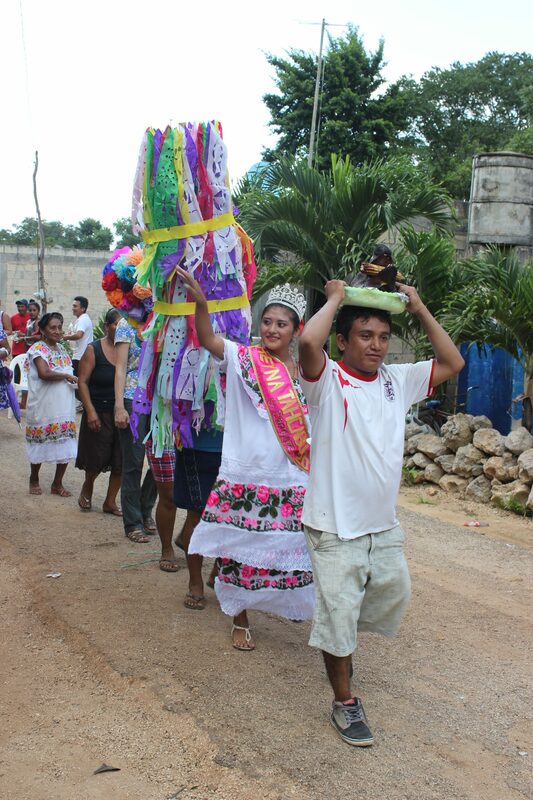 They would like to share their experience of living in Tahcabo and their cultural traditions with visitors, who sometimes even choose to stay because they like it so much. Tahcabo residents would like tourism to include an interchange of ideas and knowledge sharing between visitors and locals. As part of the interviews, town residents made suggestions about how visitors should behave while in the community. We decided to include these recommendations as part of the welcome sign that begins the heritage trail. People should be kind and open, inform authorities about where they plan to go, and get permission to enter private property. 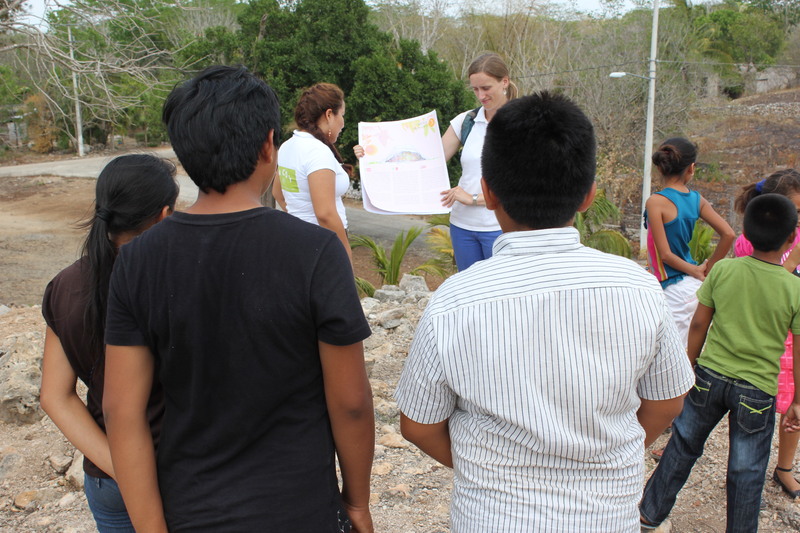 We met with the Tahcabo Heritage Committee for feedback on initial designs. 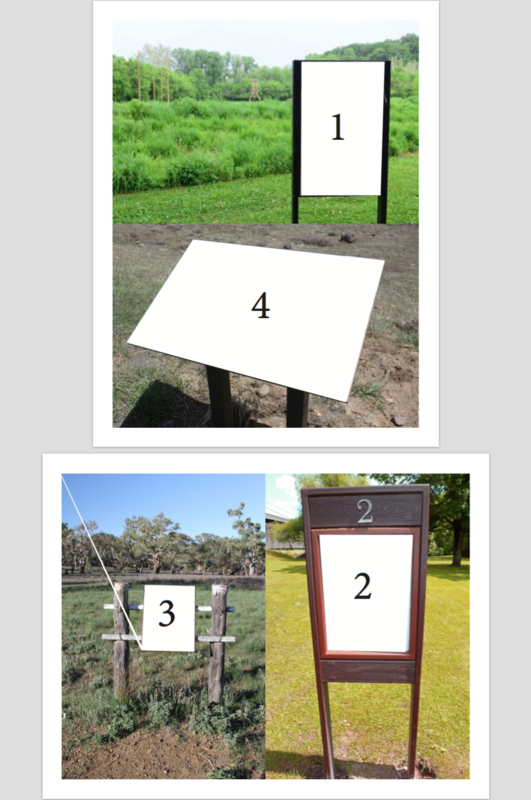 As part of the meeting, we brought eight examples of possible sign formats to see which the committee liked best. Interestingly, while committee members admired a number of the designs, including especially the triangular format used in Valladolid (pictured above), they thought that their heritage trail should feature wooden posts as sign supports (pictured below, #3). 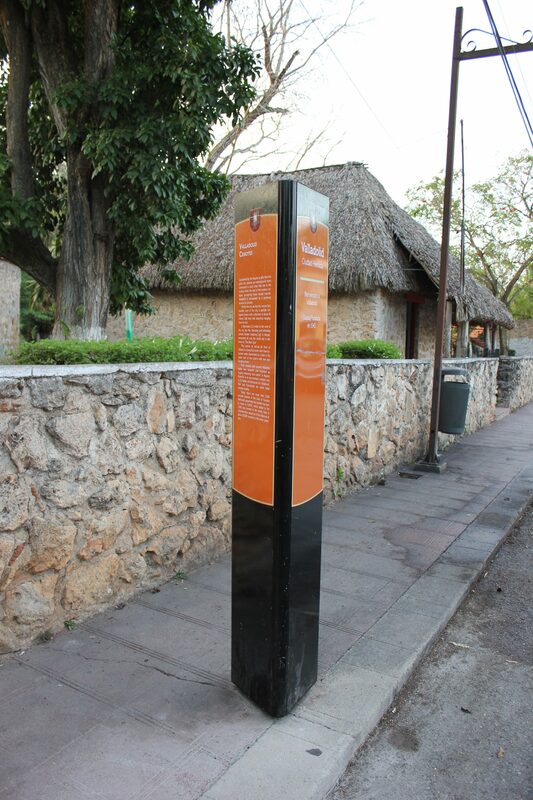 There was a consensus among the heritage committee members and those interviewed that wooden posts seem most appropriate because they go along with the small town feel of Tahcabo, and they are also beautiful and ecological. Committee members volunteered to organize donations of wooden posts that will be used for the sign installation. At a later meeting with the committee, we read through the heritage trail text and we made changes to the text as recommended by the members. We also held a town meeting to present interview results and show examples of the heritage trail design. 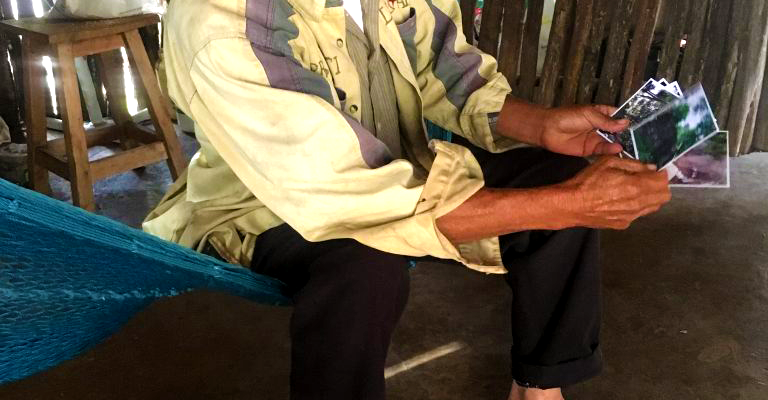 After the meeting had concluded, town members were invited to sign a document indicating their support of the project’s work. We received 59 signatures. Finally, we have had a number of visitors test-run the trail prior to finalizing the designs. 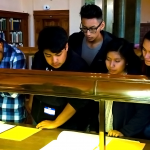 Most recently, a group of students and parents from La Esperanza Chemax visited the town and points of interest, and we had a chance to show them the final materials as they will be printed before installation. We are very happy that the heritage trail is already functioning as a teaching tool. We thank Miguel Kanxoc for arranging for his students to visit Tahcabo. 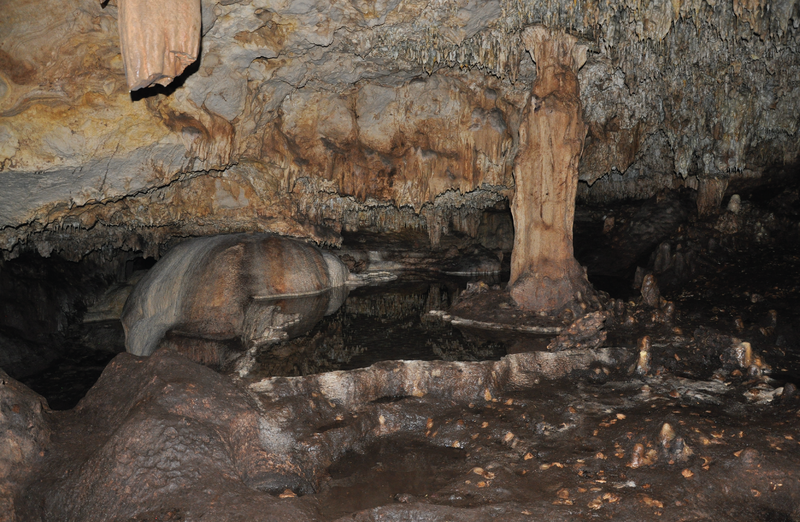 We hope you will want to visit as well. For more views into what awaits, please see this post featuring the heritage trail by my volunteer Kate Leonard, of Global Archaeology. Credits: MK Smaby donated her time to create the beautiful heritage trail design and artwork. 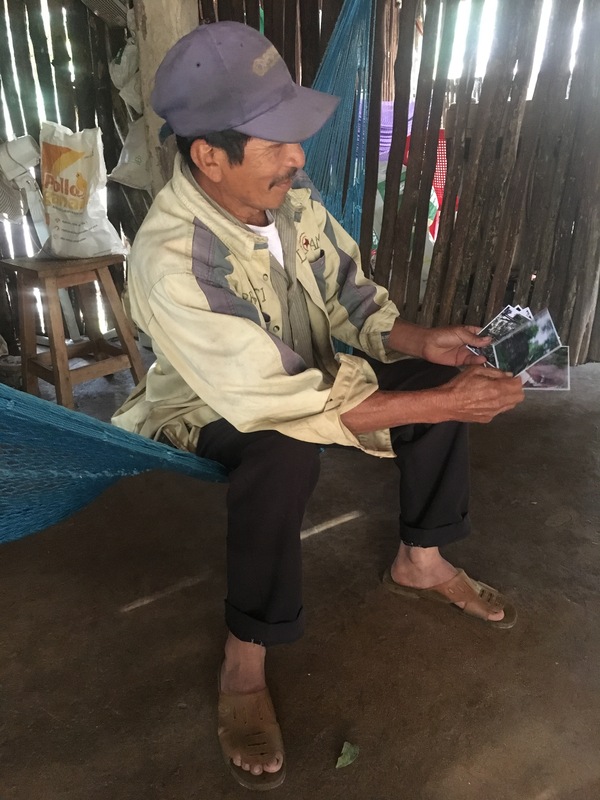 Two graduates of the Universidad de Oriente in Valladolid, Yucatán–Miguel Kanxoc and Lourdes Chan Caamal–conducted translation of the sign and brochure text into Yucatec Maya. Funding for the project came from a grant made by the Archaeological Institute of America to the Alliance for Heritage Conservation.